When thinking about the future that awaits your children, it is difficult to wrap your head around the complicated legacy left to the next generation. While in many ways society has improved, as with technology and quality of health care, there are others, such as our stewardship of the planet, where previous generations have seemingly failed the next in line. This means leaving behind a global environment in worse shape than when our generation inherited it. The decline of our ecosystems drives many to the desire to create sustainable, green, eco-friendly life styles in their own homes. So, what does sustainability really mean? Why it is so important for parents to both practice sustainable living and to teach their children to do the same? Read on to find some concrete tips that you can act on today to make your family’s lifestyle more sustainable. Sustainability was very simply defined by the United Nations as “[meeting] the needs of the present without compromising the well-being of future generations”. Environmentally, this means finding ways to maintain the quality of life that you and your family enjoy without contributing towards the ongoing production of pollutants or consumption of nonrenewable resources. Sustainable living is all about finding responsible ways to live that protect the earth for future generations. There are also social and economic sustainability issues that must also be considered in order to create a world that will be healthy and habitable for its people for generations to come. 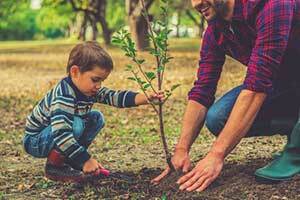 Where Does Sustainability Start for Families? When you make the decision to move your family to a more sustainable lifestyle, the first thing you need to do is talk about that decision with your whole family. Make sure your children understand what changes you’re making, and why. This is perhaps the most important step in parents shifting to a more sustainable home. Without it, the changes won’t carry on generationally, and the world will continue to face the environmental crisis it faces today. When you consider these alarming figures, the need for environmental stability becomes apparent very quickly. 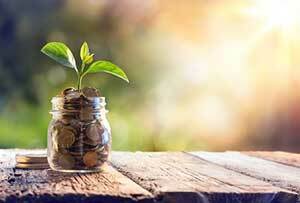 Why is Economic Sustainability Important? Ultimately, the economy is always at the forefront of our minds. Ideally, we all want a fairly paid job that is rewarding and which will allow us to take care of ourselves and our families. Economic sustainability is all about finding ways for companies to continue to thrive and innovate into the future while providing fair and equitable employment for workers. It’s not about any particular ideology – instead it is about ensuring fair opportunities for both production and consumption that won’t come at the sacrifice of the planet over the long term. Why is Social Sustainability Important? Social sustainability refers to very fabric of our culture that will help ensure that that culture can survive for future generations to enjoy. We’ve already touched on a critical topic in social sustainability: education. By educating the future generations about sustainable efforts, you’re already contributing to social sustainability. It also concerns topics such as sustainable housing. How can Your Family Become More Sustainable? Although there are endless permutations, there are three excellent general categories that you can consider when evaluating the sustainability of your own lifestyle. To think about how you can make your family more sustainable, think about the food you eat. First, where your food comes from is very important to consider through the framework of sustainability. Food transportation is one of the most egregious causes of pollution today. By buying local, you remove the need to transport your food thousands of miles to your plate. You also help promote economic and social sustainability by helping to support the businesses and incomes of local farmers and workers. This might not sound like a lot, but little changes add up, and make a huge difference when aggregated over thousands of people. Another of the most important sustainability changes people can make in their own lives is to turn their purchasing power to ethical companies that operate with a focus on sustainability. If you purchase dishes from a non-sustainable company, you could be supporting a company that doesn’t attend to its workers health, which underpays and undervalues employees, which exploits the earth for profit, and which makes products out of non-renewable materials and utilizing energy inefficient processes. The simple act of supporting a company like that can have long-reaching consequences. Now, consider the alternative. You instead put your money towards buying dishware from a company that is ethically operated, supporting and fairly treating its employees (who go on to become contributing members of the economy because they now have health and buying power). This company makes sustainably produced dishware which looks good and is made from environmentally safe materials. No plastics or other toxic materials which have a huge environmental cost to manufacture are used in their making. Now, you’ve instead directed your purchasing power towards a company that is operating in a sustainable fashion, helping to ensure a good life for your children, and theirs, in the years to come. You can shift to sustainable living immediately. Simply start paying attention to where your dollars go, and you can make your home a force for sustainability in the world. For a wide range of sustainable dish products, visit the Kangovou.com shop.